For people who have multiple computers at home or those who need a large storage hub for anything and everything, there is another alternative on file management and backups beside the usual external drives. 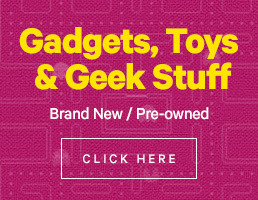 It’s call Network-Attached Storage or NAS. 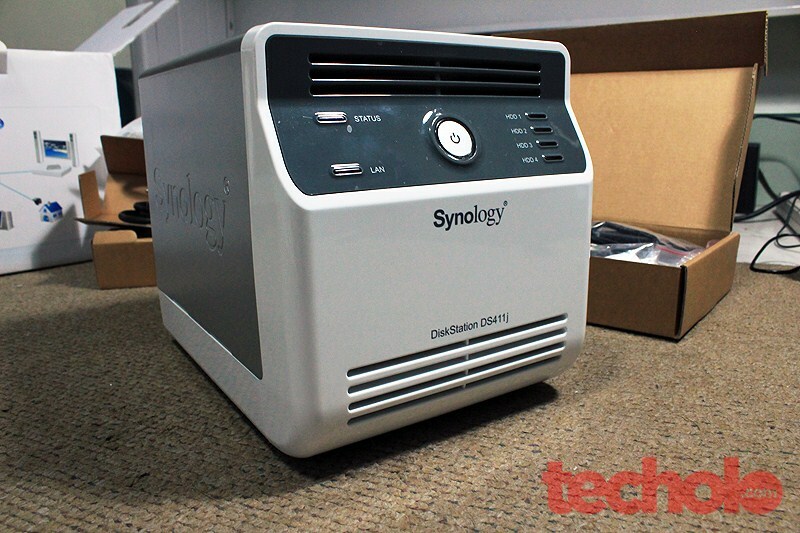 Synology Disk Station DS411j designed to provide a cost-effective file storage and backup solution with RAID protection for multi-user home environments. 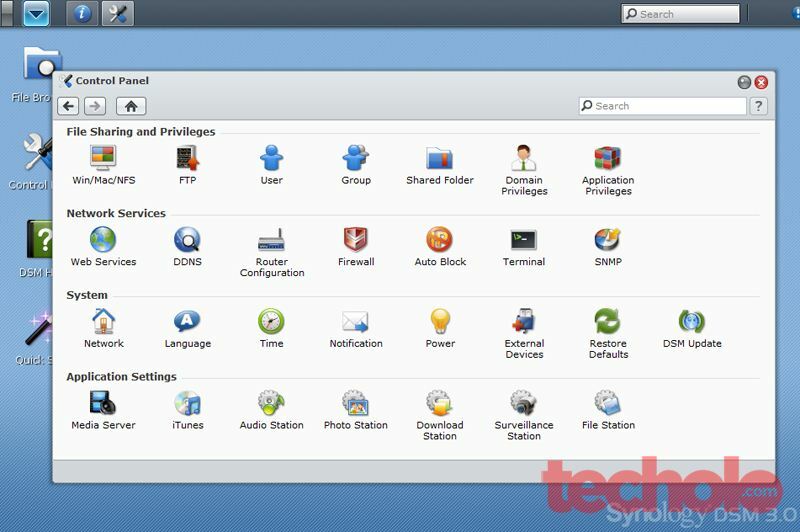 The operating system, Synology DiskStation Manager 3.0, delivers rich features for multimedia enjoyments, worry-free backup, Internet sharing, and energy-saving options. 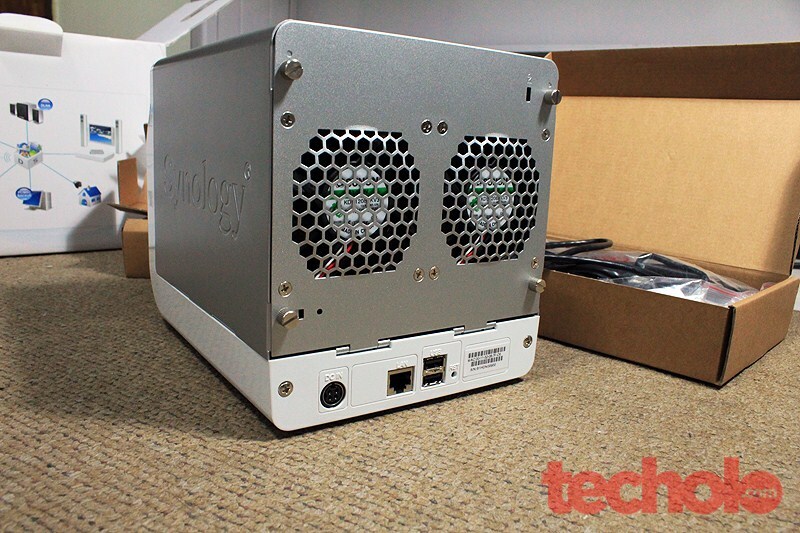 The hardware is solidly built using a top and back aluminum case and plastic white front and base cover. There are indicator lights for the 4 drive bays as well as LAN connection. The back shows both fans, power port, Ethernet port, and 2 usb slots for external drives or printers. I left it on and running through the night and the blinking blue LED’s almost lit up our whole room, it was quite bright actually, but covering up the lights will do :) No problems on fan noise either. The DS411j packs a Marvell ARM 1.2Ghz CPU with 128MB DDR2 of Memory, enough to be a standalone netbook, well, without the screen and peripherals of course. 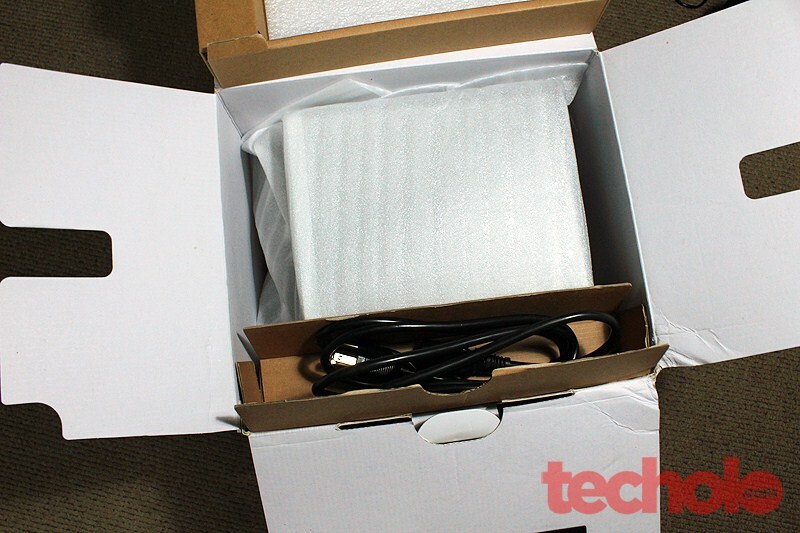 Inside the box, you’ll get the following items: Power Adapter, Ethernet Cable, Power Cord, Screws for 3.5” and 2.5” hard drives, Getting Started Guide and Installation CD. Opening the case with the convenient thumbscrews and installing the drive was fairly easy. 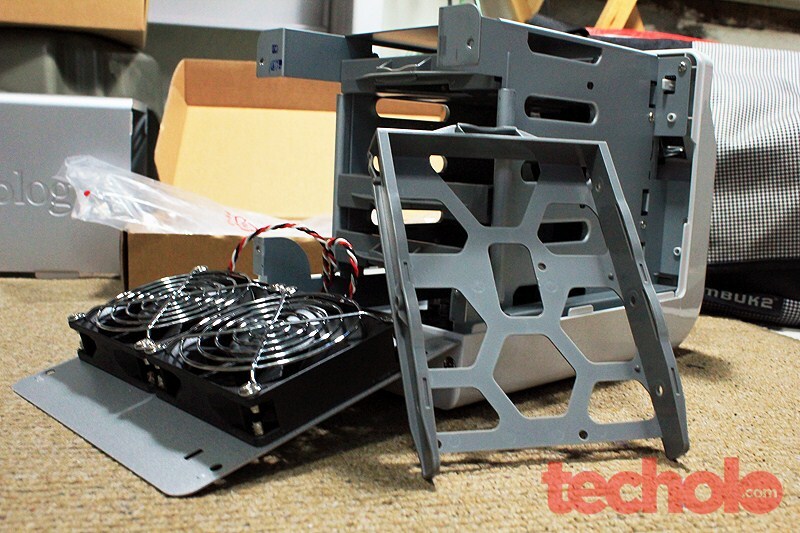 There are 4 empty plastic drive bays that support both desktop 3.5” and 2.5” notebook drives. Our test drive was a 160GB Western Digital Caviar (WD1600ABS) we had lying around here. 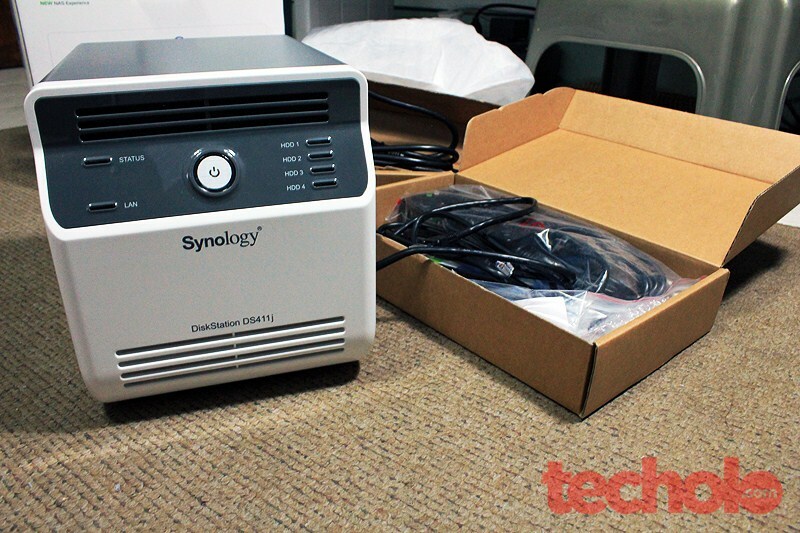 With that, I recommend checking out Synology’s list of Compatible Hard Drives before purchasing yours just to be on the safe side. Turning on the unit, it asked me to install Synology Assistant software for the first time. 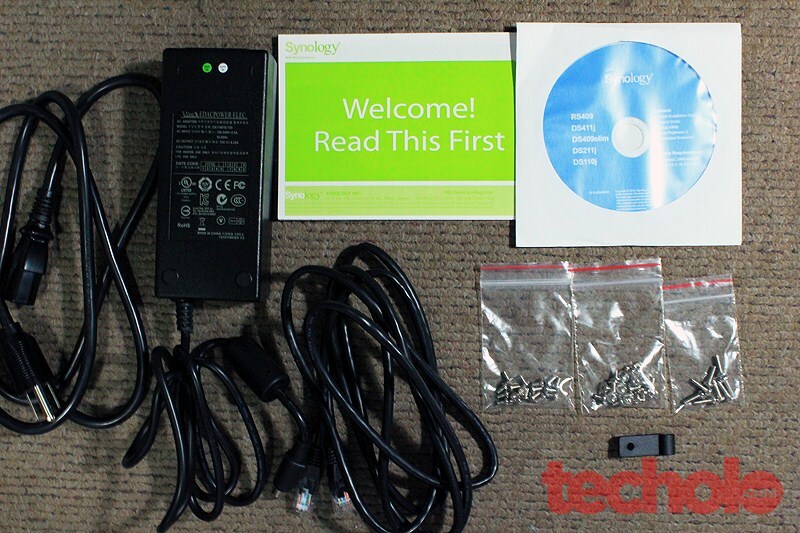 It then scanned for available Synology devices within the network and then prompted to connect to it. The process was pretty quick and easy to understand. I just noticed that there was no pre-installed OS (DiskStation Manager) on the DS411j itself out of the box, it will be installed as part of the initial setup process. So instead of installing the one from the included CD, I suggest to do a manual check on Synology’s website to be sure you’ll be able to download the most recent updated OS. After connecting, I was then required to set up a volume for the newly mounted drive. 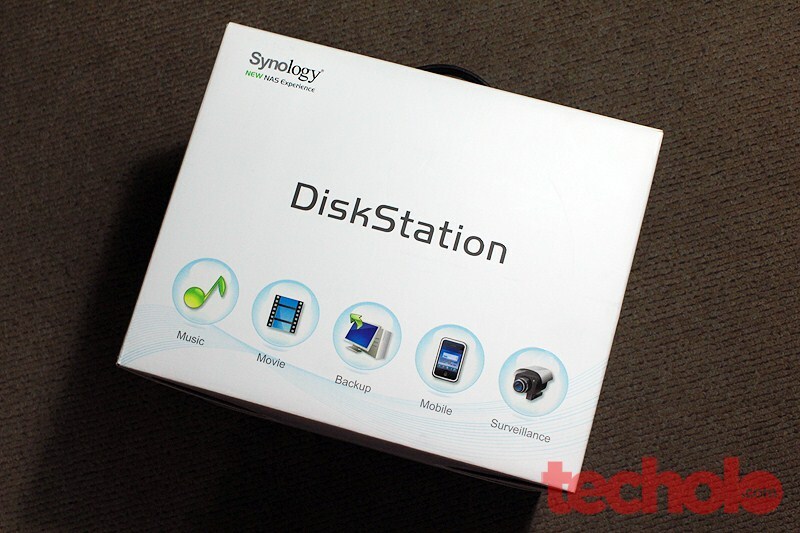 Synology recently released an update to their DiskStation Manager (DSM) operating system which bumps it to version 3.1. The review unit came with 3.0 so I downloaded the update and installed the .PAT firmware. Once you’ve upgraded, you can’t revert back to a previous version. Sleek and full-featured. 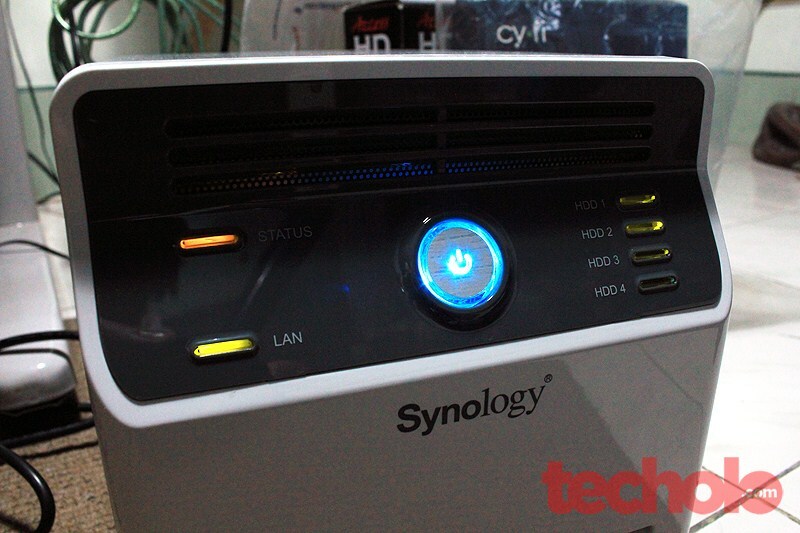 Synology DiskStation Manager 3.1 takes your NAS experience to the next level. Running on Synology NAS servers, DSM 3.1 offers more robust task-handling capability, greater storage reliability, and higher productivity. The intuitive and feature-rich applications help you simplify the otherwise time-consuming tasks. The browser-based user-interface and menus of DSM were easy to understand. Looks like any normal OS with multi-windows support, control panel, desktop shortcut, taskbar pinning, etc. There were also a number of applications available such as Media Server, iTunes, Audio Station, Photo Station, Surveillance Station and File Station. I tried running the local BitTorrent download client overnight as my “Torrent rig” since it supports torrent searching/download, FTP/HTTP, eMule, NZB and RSS downloads. It also supports popular file sharing websites like Rapidshare and Megaupload. Everything was seamless and downloads were completed without having to leave my energy hog iMac overnight doing all the work. Low-power = lower energy cost. DSM 3.1 also provides a host of backup solutions with the free Data Replicator 3. It can back up files, folders, even Outlook data and restore them in a single click. DS Audio - Live Music Streaming, Remote control for your Audio System. DS Cam - Remotely Command, View, Record IP Cameras. 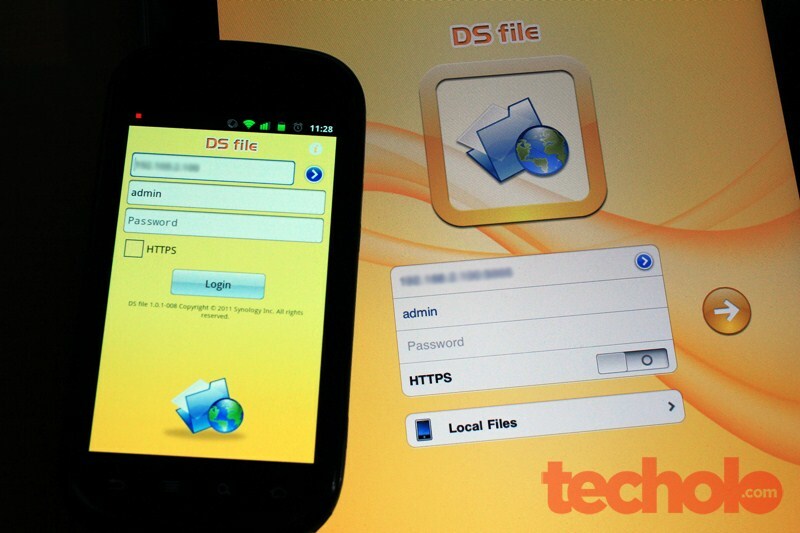 DS File - Download and Manage Files for Off-line viewing. 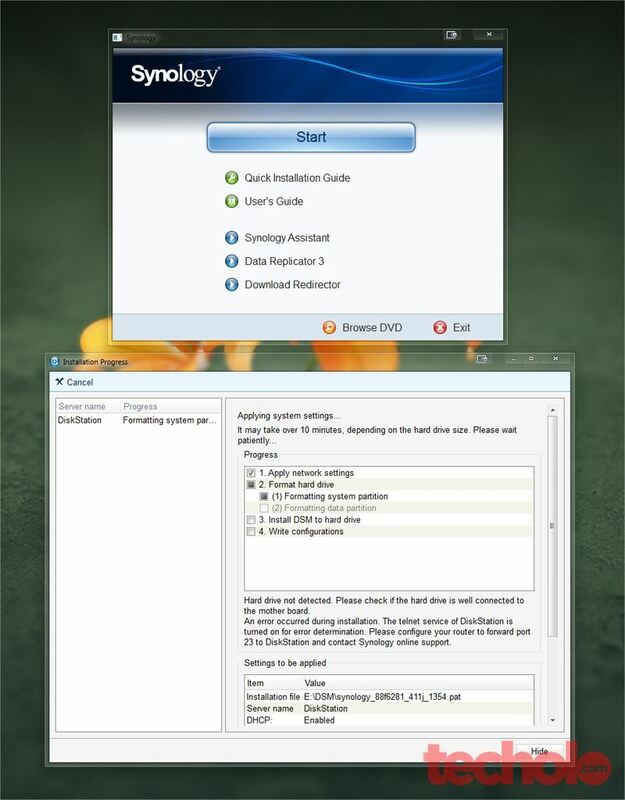 DS Finder - Monitor and Turn On/Off your DiskStation within the network. DS Photo - View, Download, Upload and Print (AirPrint) Photos. I was able to try DS File on my Nexus S and iPad 2. It allows access to music, videos, photos and almost any file located on the DS411j. I then tried opening a huge Divx movie file on my Android phone and was surprised that it actually played without any lags or video degradation. 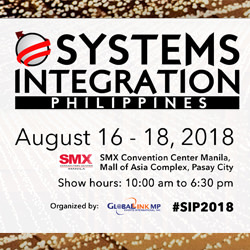 With a SRP of Php 19,300, robust features and server grade build, the Synology DiskStation DS411j is clearly not for the everyday, average computer user. 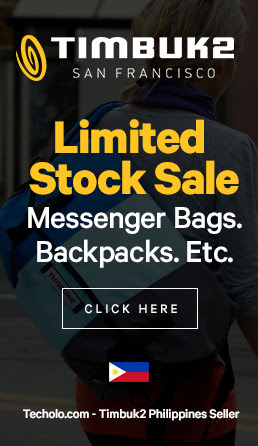 But if you are in the market for a good backup that offers a lot more powerful features like remote access of files over the internet, music and video streaming, all controlled within any browser. Then this is for you. I can also say personally that it’s perfect for us and our home as we have a Small Office / Home Office (SOHO) setup that could use some centralize data storage bank like this NAS to make sharing files from different computers very, very easy and convenient. This product is a good addition if you have the budget for a dedicated storage/server attached to your home network. Thanks to Maxtech Solutions Inc. for providing this review unit.